The month of love is here, and if you’re looking to spice things up, an escape room might be the answer. 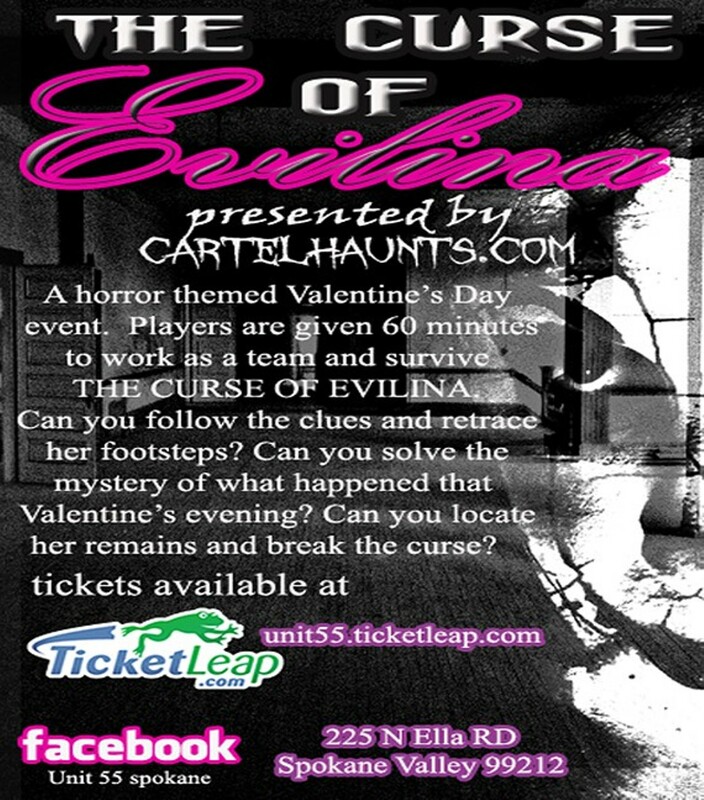 The Spokane-based haunted house makers of Haunt Cartel have created a Valentine's-esque, horror-themed escape room called “The Curse of Evelina,” based on the story of a woman who mysteriously disappeared on Valentine’s Eve, her bloody dress the only remaining clue. Not romantic, per se, but thrilling nonetheless. Participants follow clues and retrace Evelina’s tracks, looking for her body and evidence of what happened the night she died. The event is set up like a haunted house, with unusual and scary decorations throughout. Escape rooms are definitely “in” right now, and this one takes the puzzle-solving to a creepy new level.